A naval architecture/marine engineering firm offering state-of-the-art technical services for the development and construction of high-performance vehicles. Design, evaluation, testing and construction management of motor yachts, sportfishing boats, commercial ferries and military/para-military vessels. 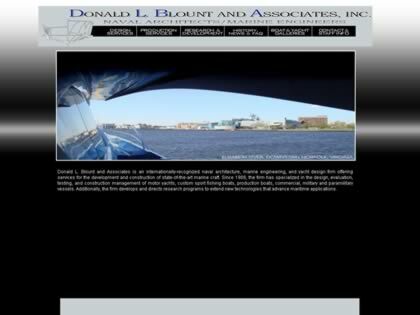 Web Site Snapshot: If available, above is a snapshot of the Donald L. Blount and Associates web site at http://www.dlba-inc.com/ as it appeared when this site was added to the directory or last verified. Please Note that Boat Design Net has no involvement with the above web site; all content and images depicted in the above thumbnail are the property and copyright of Donald L. Blount and Associates unless otherwise noted on that site. Description: A naval architecture/marine engineering firm offering state-of-the-art technical services for the development and construction of high-performance vehicles. Design, evaluation, testing and construction management of motor yachts, sportfishing boats, commercial ferries and military/para-military vessels.